This natural body scrub is so much fun to do! Whenever you are on a sandy beach, make use of this simple technique. 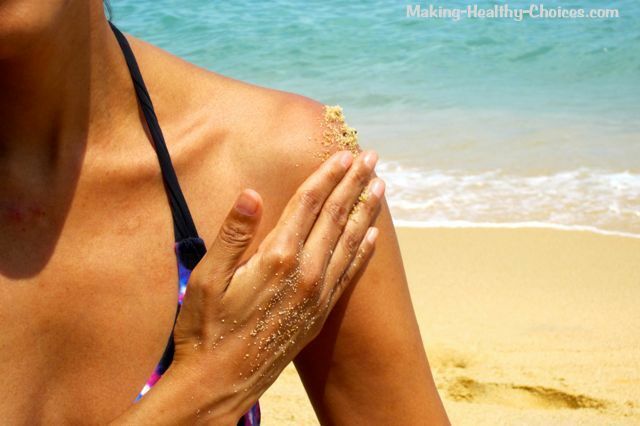 After doing a sand scrub your skin will feel so beautifully soft and will have a radiant glow. The sun, the sand and the salt water provide such great nourishment for us! And this is absolutely free - spa style treatments that will have you looking young and fresh without spending a ton of money. Our skin is our body's biggest organ and by doing things like body scrubs and dry skin brushing we can really help the health of our skin. 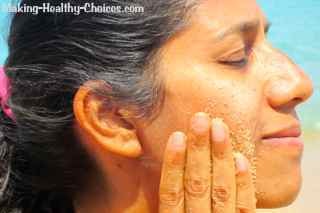 I have shared some recipes for homemade body scrubs here and on this page I want to share about my favorite natural body scrub - the sand scrub. Whenever I am on a sandy beach, I never miss an opportunity to nourish my skin with this super easy sand scrub. Connecting with our planet, with nature is an extremely important part of health. Being in the tropics and on a beach is one of my absolute favourite ways to connect with nature and be grounded. And doing this sand scrub every time I am on a beach takes this to an even deeper level. How do I do a Sand Scrub? 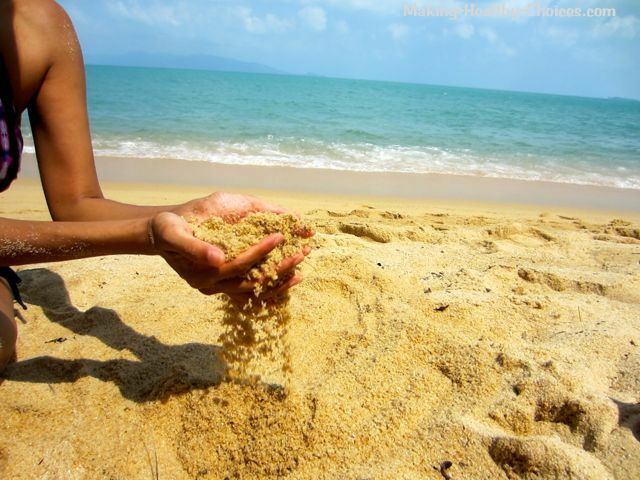 Sit on the sand, bathing in the nutrients of the sunshine while you slowly use the sand to scrub your entire body. Work your way up from your feet, up your legs, on your stomach and back, your fingers, hands and arms, your armpits, your neck (back and front) and then finally your face. Use a small amount of sand in my hands. Use gentle pressure and a back and forward scrubbing motion as I rub the sand over my skin. Start with the bottoms of my feet (remembering between toes and around toenails). Avoid any areas where the skin is irritated and/or open wounds. Walk into the ocean and allow the nourishing sea water to rinse off all of the sand. Soak in the sea water for several minutes. Notice how amazingly soft and silky the skin is. Why is this Natural Body Scrub Good? Take advantage of the gifts that Nature provides, they are there for you and you are worth it!